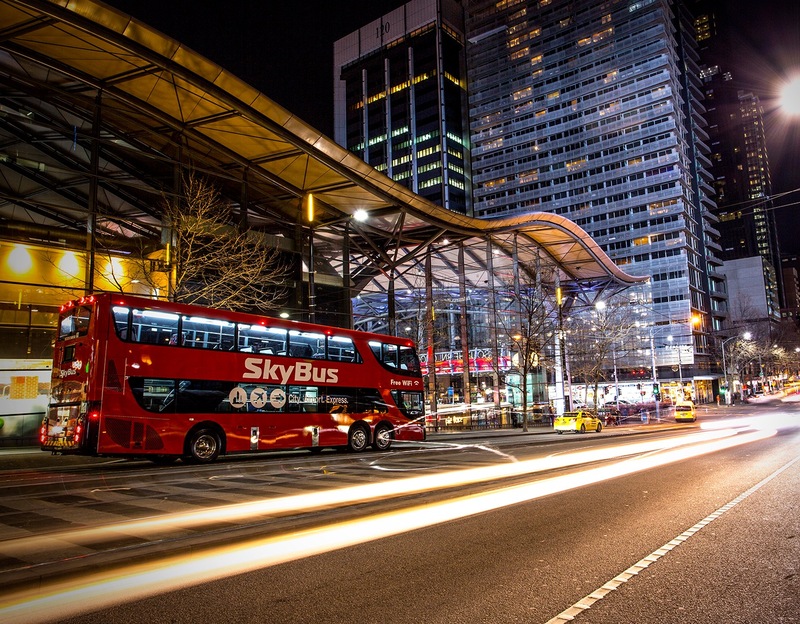 As a result of a change of ownership and the installation of a new management team, the SkyBus business was given an overhaul. Every aspect of the business was reviewed and from this it was identified that passengers were happy with the service in general but didn’t perceive the business or the brand as anything above a public service offering such as the bus you would find doing the domestic routes around Melbourne. 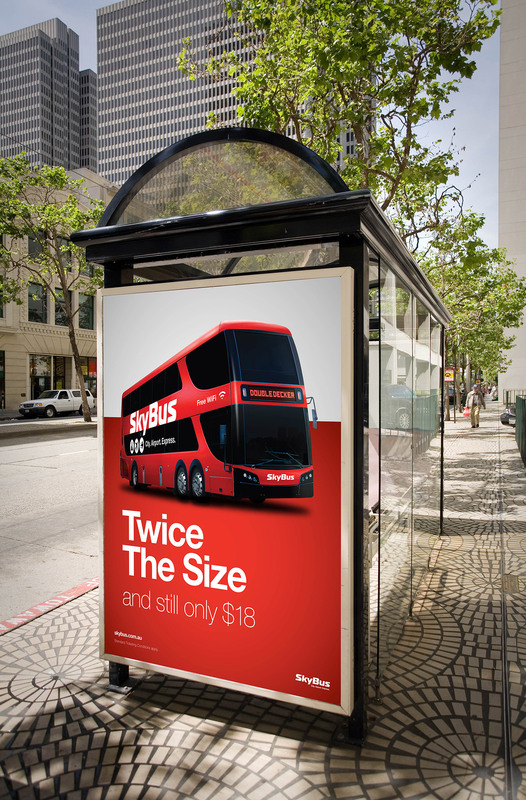 Red Crayon was engaged to develop a series of campaigns that would shift the perception of both the SkyBus brand and the service offering and to de-position the taxi, specifically the cost of a taxi when compared to SkyBus. A fairly difficult task if the buses weren’t going to change. 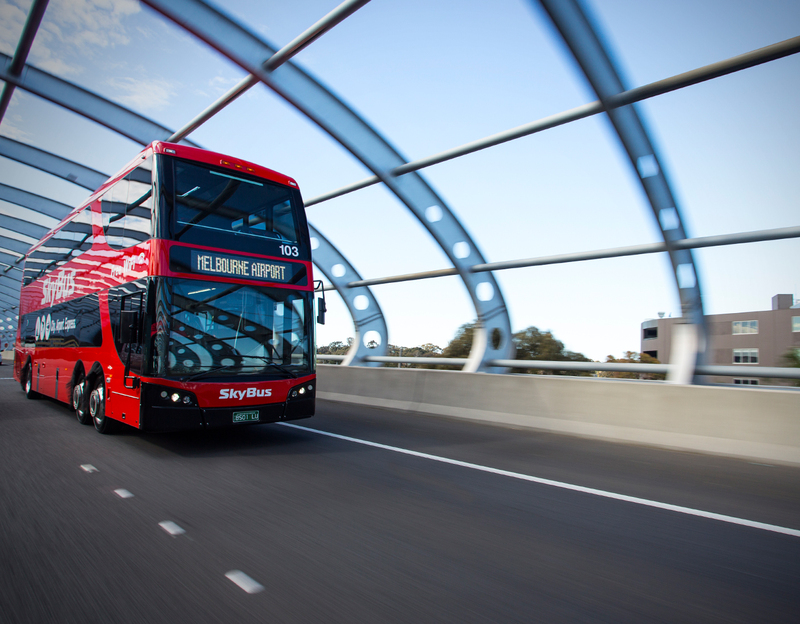 Luckily at this point SkyBus was also planning to deliver a fleet of brand new Double Decker buses that would be an iconic statement in Victoria. Red Crayon shot and designed a series of campaigns to introduce both the new offering and the new price (as compared to Taxis in some instances) that were then executed across outdoor sites and on radio throughout Victoria. The campaign was also heralded by a tour around Melbourne with the Minister for Transport on the new Double Decker bus. Melbourne’s newest icon was born.